Leaving the hot and suffocating days behind, Istanbul welcomes the best season to find a nice weekend getaway. Istanbul's autumn begins around mid-September and lasts until mid-November. With temperatures around 23 degrees Celsius, it's a time that allows you to discover the beauty of the city amid a suitable atmosphere for outdoor dining and sightseeing along the Bosporus. All holidaymakers who invade western touristic cities in summer start to return to the heart of the country, Istanbul, and revive the city's fancy streets when September says "hi." Autumn is one of the busiest festival and event seasons for Istanbul, such as the Istanbul Biennial (held every September-November) and Contemporary Istanbul (in November) so the entire city embraces its dynamism again. Even though most residents realize that autumn brings dynamism to the city, a weekend escape to get away from the hustle and bustle of the city is still necessary for those who live in this metropolis. It does not matter if you are an expat or a local residing in Istanbul. 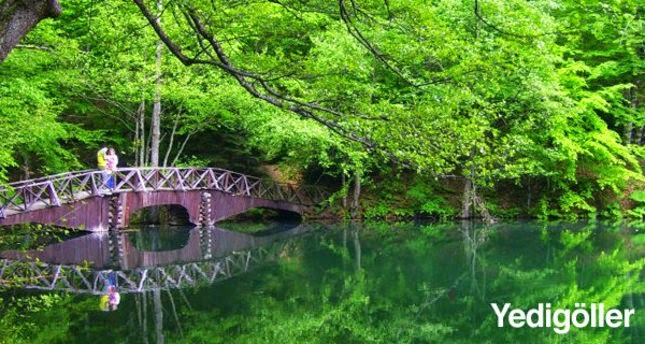 If what you are looking for over the weekend is to find a quiet place to see the beauties surrounding Istanbul, you will find tranquil sanctuaries amid nature in this article. It is the last call to discover the havens around Istanbul before winter starts to knock at our doors.